CryptoChip is not just the world’s first and only platform that converts Bitcoin to land-based casino chips and vice versa (“CryptoChipping”) but is also the first ever “booking.com” for free casino trips (“Junkets”). We are democratising the Junket industry. Book a casino Junket holiday with a click of a button, the flight & hotel are for free (paid by the casino). 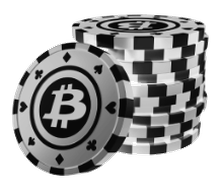 Convert cryptocurrency to land based casino chips and collect your winnings in Bitcoin.